Casa del Chapí. Litografía coloreada a mano de 1835 del artista John Frederick Lewis. 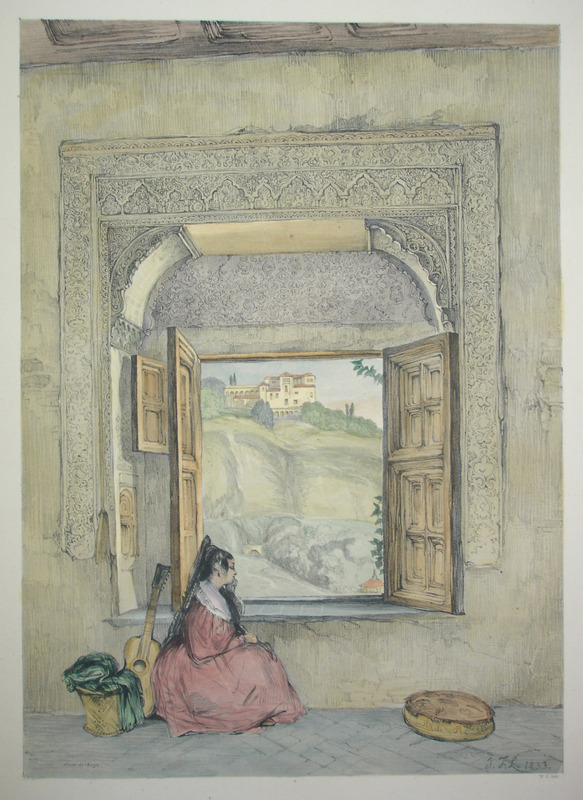 Procede de la obra, Lewis’s Sketches and Drawings of the Alhambra made During a Residence in Granada in the Years 1833 – 34. Londres, 1835.